BYEL CALM COLOR baby's swing is all and everything in one product. BYEL CALM COLOR collection is made by following nursery color trends. Absolutely the best choice for both - babies and their parents! 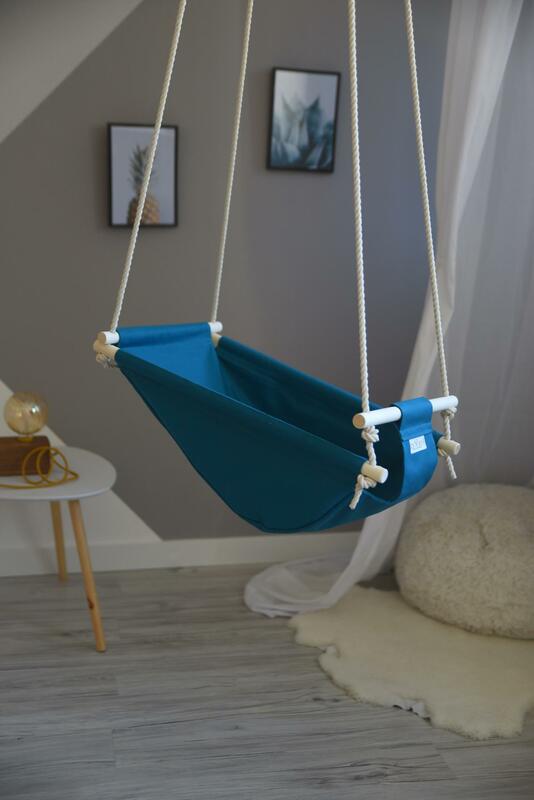 The swing is adjustable from the sitting position to the fixed lying position. It`s not necessary to disconnect the ropes to fix the position, it has simple yet stable knots to do that. 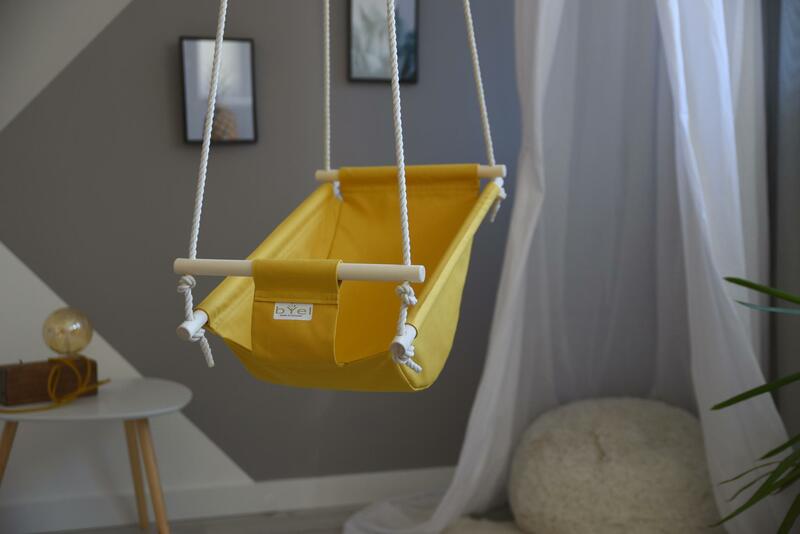 This baby swing is ideal for calming Your baby when He/She is upset and for your baby to have a short term nap in it. 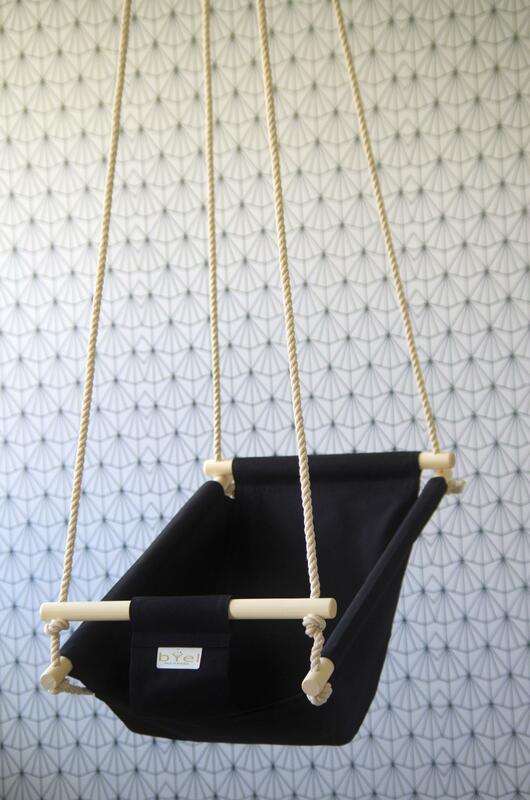 The swing provides full support for babies who still can not sit on their own.